Are you interested in obtaining a highly-valued and much-sought-after professional certification? 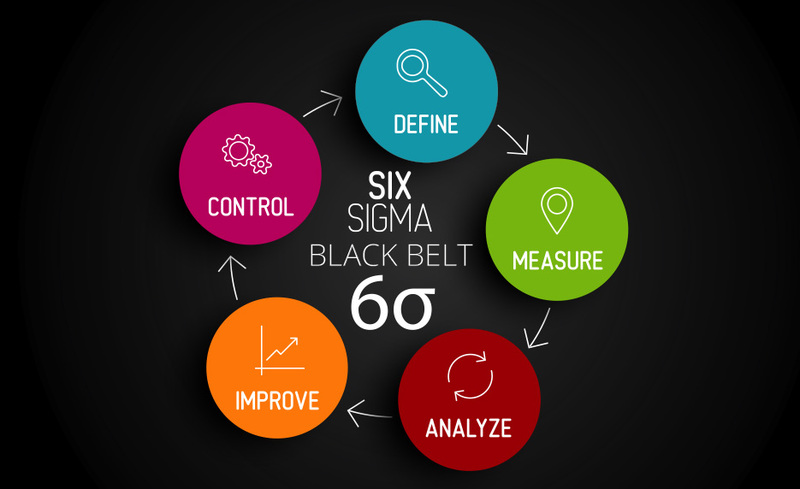 If so, the Certified Six Sigma Black Belt course is for you! The Six Sigma methodology is a data-driven approach to removing defects and improving processes at any organization. As a Six Sigma Black Belt, you will be responsible for initiating projects and directing the efforts of company teams. In addition to mastering key Six Sigma concepts and methods, you’ll obtain valuable information in helping your prepare for the Six Sigma Black Belt certification offered by the American Society for Quality (ASQ). Learn how to effectively apply the elements and methods of Six Sigma. Understand how a vast body of knowledge relates to the DMAIC (define, measure, analyze, improve, and control) model. Determine the relationship of basic statistics to Six Sigma and learn about the Six Sigma business case including strategic planning, the voice of the customer (VOC), quality function deployment (QFD), benchmarking, and financial investment methods. Discover how to use brainstorming, Pareto charts, and critical to quality to help define processes, problems, and opportunities. Master the use of other key tools such as cause and effect diagrams, checksheets, scatter diagrams, failure mode and effects analysis (FMEA), and force field analysis. Learn the basics of advanced Six Sigma tools such as design of experiments (DOE), analysis of variance (ANOVA), hypothesis testing, control charts, and probability distributions. C. Tests for Means, Variances, Proportions. Prerequisites are a fundamental knowledge of basic math and algebra and English language reading proficiency. Tony Swaim is an experienced course developer, online instructor, university professor, and business owner/consultant. He has held many globally focused industry supply chain management positions. Tony earned a Doctorate of Business Administration from Kennesaw State University, is a Six Sigma Black Belt (CSSBB) (ASQ), Project Management Professional (PMP), and Certified Purchasing Manager (C.P.M.). He has published research papers in the Journal of Business Ethics, Journal of Management Education, Supply Chain Management: An International Journal, and Industrial Management and Data Systems. Can I register for programs if I am an international student? Yes, because ed2go programs are online you never have to actually travel to the school.Most schools offer telephone or online registration. All of our programs are self-paced and open enrollment, so you can start them when you want and finish them at your own pace.When you register, you’ll receive six (6) months to complete the program. What if I don't have enough time to complete my program within the time frame provided? ed2go courses are non-credit courses, so they do not qualify for federal aid.In some states, vocational rehab or workforce development boards will pay for qualified students to take our courses.Additionally, some students may qualify for financial assistance when they enroll, if they meet certain requirements. What software or hardware do I need in order to take online programs and what are the system requirements? How can I get more information about this program? If you have questions that are not answered on our website, please feel free to contact us via LIVE chat (click the button above).If you are visiting us during non-business hours, please feel free to send us a question using the “Contact Us” form to the right.You may also call us at 1-877-221-5151.We will answer your questions promptly. When can I start the program? Does this program prepare for a certification?